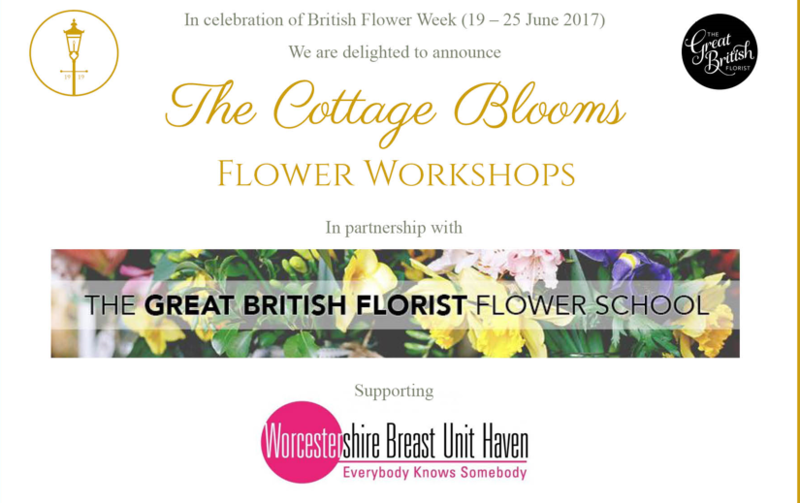 We are delighted that The Cottage in the Wood are supporting us through their very special ‘The Cottage Blooms – Flower Workshops’. The first one taking place on Thursday 21st September 2017, 10.00am – 12.30pm, will focus on Posies & Buttonholes. Please join us for an inspirational, hands-on, creative floral workshop where you will discover the secret of making the perfect hand-tied posy and buttonhole. With expert tuition from our delightful tutor you will learn how to choose, prepare, wire and arrange your flowers using the most beautiful, seasonal blooms and a selection of stunning wild foliage. With only 25 places in the workshop you will be sure of personal attention. The Result will be Creative Genius!